Terje Stordalen is Professor at the Faculty of Theology, University of Oslo. He coordinates the project Local Dynamics of Globalization, which during the year 2014-15 is going to be located at the Centre for Advanced Study, the Norwegian Academy for Science and Letters. His current academic interests are: religion and society in ancient Israel; wisdom literature in the ancient Near East; comparative studies of canonization and of collective memory. 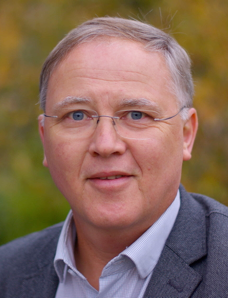 Prior to assuming his current position, Terje worked for several years at MF Norwegian School of Theology, Oslo; and for one year at the Lutheran Theological Seminary, Hong Kong. He has been visiting researcher for instance at Georg August-Universität, Göttingen and Peking University, Beijing. In an earlier phase he also worked as a journalist. •The project Local Dynamics of Globalization was constructed in co-operation with Prof. Øystein S. LaBianca, Andrews University, who also is its associate coordinator during the year at CAS. •Terje also is heading the project Negotiating Cultural Capital, in co-operation with Lars K. Pharo, Oslo; Siri Nergaard; Bologna; and Birgit Meyer, Utrecht. •During the years 2004-2011 Terje was the coordinator of the network OTSEM (Old Testament Studies: Epistemologies and Methods), and in the period 2009-10 he headed the research network Religion in Pluralist Societies. By navigating the menu links at the top of this page you would hopefully be able to find whatever further information you might have been looking for!